For dull scissors: To sharpen a pair of scissors, fold a piece of aluminum foil in thirds, then cut it with the scissors at least a dozen times. Then cut a piece of paper and see if the scissors’ blades are sharper. If they still aren’t as sharp as you want them to be, take another piece of foil and do it again. If they still aren’t sharp enough, then take a sheet of fine sandpaper and cut it up. If, after you’ve cut foil and sandpaper several times, the scissors still aren’t as sharp as you want, it’s time to buy new scissors. If you don’t want to part from your scissors (you’re a seamstress or hairdresser or craftsperson and your special scissors are an extension of your arm…), get them professionally sharpened. Be sure to find a craftsperson that deals specifically with scissors, since an unskilled sharpener can do more harm than good. A good tailor or hairdresser can usually provide a recommendation. 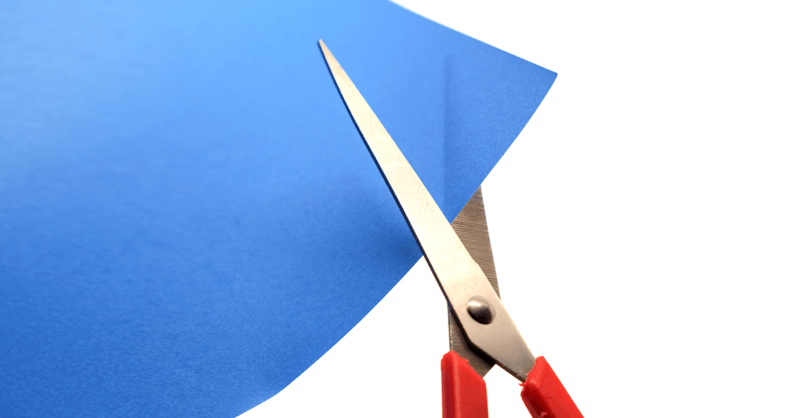 For sticky scissors: Scissors that stick might have some gooey residue from something they recently cut, such as tape or glue. Clean the scissors’ blades with rubbing alcohol, nail polish remover or paint thinner (in a well-ventilated area) on a cotton ball. If doing that doesn’t unstick them, carefully rub the blades with an emery board. For smooth operation: To keep the blades moving efficiently, apply a drop or two of household oil to the screw area every few months. Be sure to wipe away any excess oil before storing or using. Run a few practice cuts through bits of scrap material to make sure there is no excess oil to stain any future cutting material. Better storage: To keep your scissors in good shape, don’t store them loose in a crowded junk drawer. Keep them in their original plastic sheath or pouch, or if you forgot to keep that, store them in a special pouch. Your protected cutters will serve you well! Thanks to MarthaStewart.com for help with this tip.